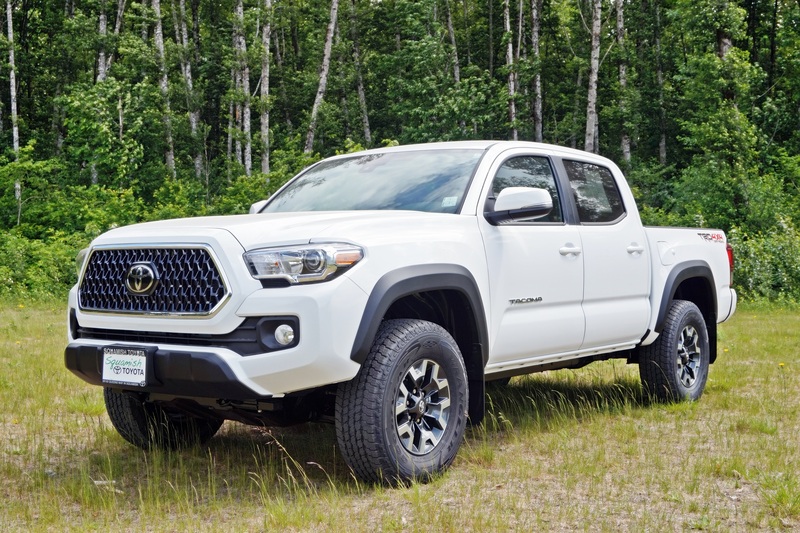 This is our last new 2018 Toyota Tacoma 4×4 Double Cab V6 TRD Off-Road Short Box 4WD. 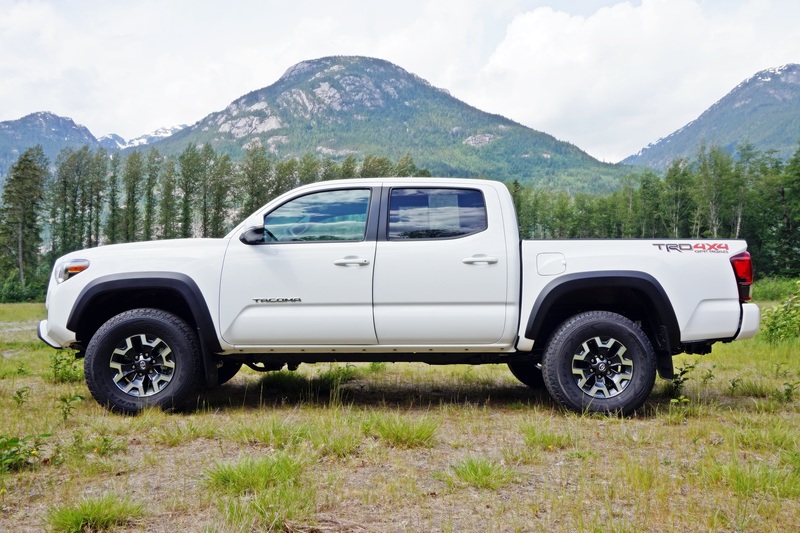 The TRD Off-Road Short Box incorporates the same cab configuration as our present Double Cab with 73.5 inch cargo bed but this one features a 13.2 inch shorter wheel base and a 60.5 inch cargo bed. The shorter wheel base makes for a significantly tighter turning circle, greater versatility off road and the effortless ability to fit in today’s shorter garages. This model is exclusively offered with a six speed automatic transmission. 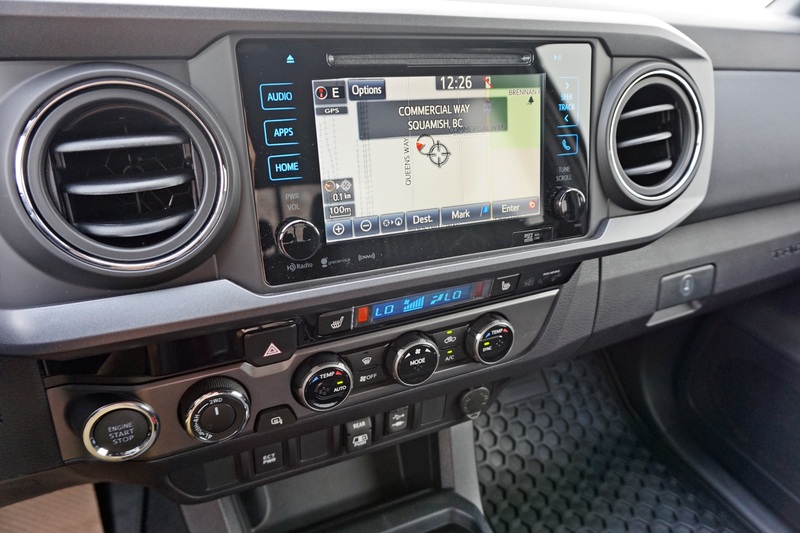 Key features of this TRD Off-Road Package include a suspension optimized for off road adventure incorporating Bilstein Shock Absorbers, 4-wheel Crawl Control, Multi-Terrain Select, a locking rear differential, 16 inch alloy wheels with Kevlar-reinforced all terrain tires, fuel tank and transfer case protector plates, black fender flares, fog lamps, Traction Control, Vehicle Stability Control and Hill-start Assist Control. It comes exceptionally well equipped and features heated sport seats, anti-theft system, 7 inch touchscreen audio system with Bluetooth Capability and USB input, SiriusXM Satellite Radio, advanced voice recognition system, an intuitive GPS navigation system, Smart Key system with push button start, backup camera, locking tailgate, towing hitch with 6400 lbs towing capacity and trailer sway control, LED daytime running lights, leather-wrapped steering wheel and gear selector, power sliding rear window and dual-zone automatic climate control. It is equipped with Toyota Safety Sense which adds a Pre-Collision System with Pedestrian Detection, Dynamic Radar Cruise Control, Lane Departure Alert and Auto High Beams. 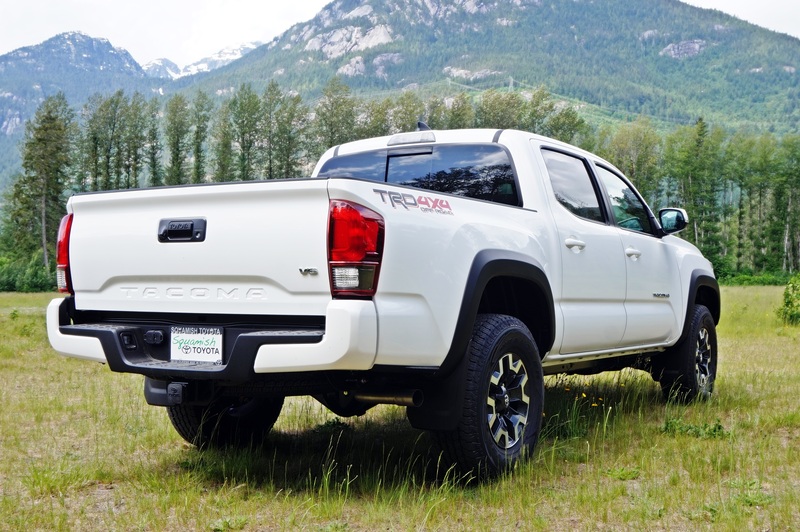 This Tacoma can be leased with zero down payment for $499 per month which is $559 with taxes included. This is a 60 month lease to own plan at 3.99% which allows 100,000km over the term of the lease. The option to purchase at lease end is $19552.30. On approval of credit. Please note that a $295 documentation fee applies. This is our most affordable 2018 Toyota Tacoma Double Cab though it comes very well equipped. This SR5 4X4 Double Cab V6 is equipped with an automatic transmission, 16 inch alloys, a 73.5 inch cargo bed, fog lamps, towing hitch with integrated wiring for a flat 4 or 7-pin, locking tailgate, backup camera, privacy glass, splash guards and colour-keyed fender flares. 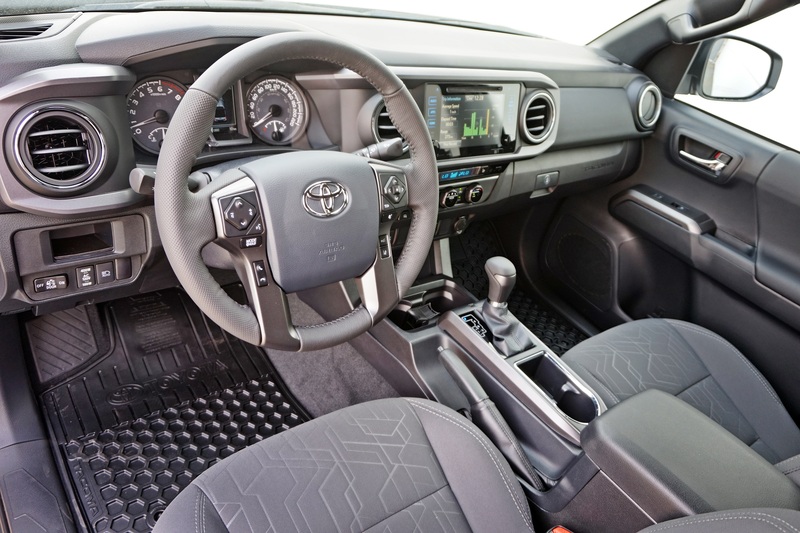 Inside this Tacoma is equipped with heated seats, air conditioning, power windows, power mirrors, power door locks with keyless entry, cruise control, Bluetooth with streaming audio, USB and AUX audio inputs, leather-wrapped steering wheel and shift knob and a split/folding rear seat back. This model is fitted with a factory towing package with includes a Class IV weight distribution trailer hitch, engine oil cooler, transmission oil cooler, upgraded alternator, limited slip differential and a towing capacity of 6,400lbs. Lease this new 2017 Toyota Corolla for $202/month with $0 down at Squamish Toyota. This is the impressive new 2017 Toyota Corolla CE. This is our most affordable Corolla but it is very well equipped. The Corolla enjoys many new features and refinements for this year and they include the Toyota Safety Sense System standard on all models. Safety Sense includes a pre-collision system with pedestrian detection, lane departure alert with steering assist, dynamic radar cruise control and automatic high beams. This CE is our lowest priced model though you would never guess it from a test drive. 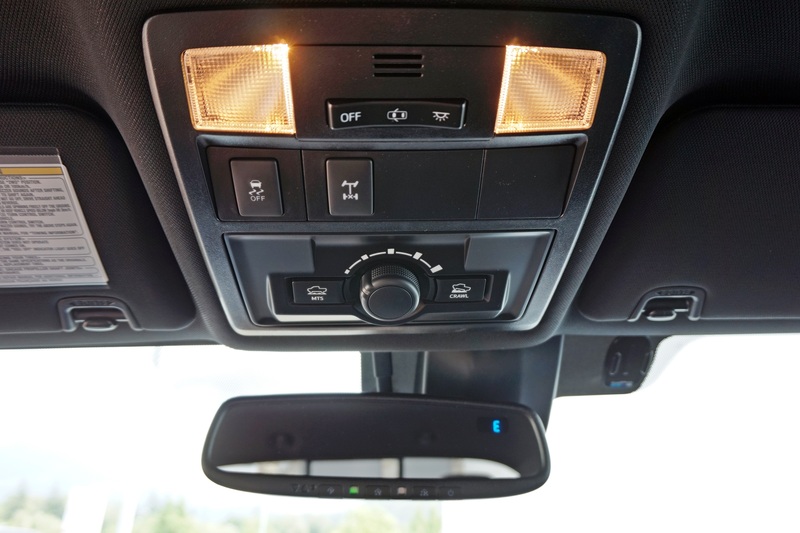 It is well equipped with power windows, power heated mirrors, power door locks, Bluetooth with streaming audio, USB and AUX audio inputs and features very impressive LED headlamps. The Corolla is quiet, solid and stable on the highway and very easy to live with in town. This Corolla can be leased for $202 per month ($226.56 with taxes included) with ZERO down. This is a 60 month lease at 0.49% with an option to purchase at lease end for $8031.90. These simple tips should help you keep the environment in mind and save on gas: a winning formula! 2014 Toyota Matrix 5-Speed with only 33,500 kilometres – Toyota Certified. Offered at $15,800 with financing available at 1.9%. This is a local, accident-free 2014 Toyota Matrix with just 33,500 kilometres which was just traded in for a new Toyota Corolla iM wagon. It is in brilliant shape and could nearly pass for a new vehicle. It is powered by a lively yet efficient 1.8L four cylinder engine with a five speed manual transmission. The Matrix is an amazingly versatile automobile with split/folding rear seat backs that fold down flat to allow for an amazing amount of cargo storage. The Matrix sits up higher than most cars, giving a favorable view of the road ahead though it is very stable and reassuring on a winding highway. It is front wheel drive and performs admirably in slippery conditions. Features of this car include remarkably comfortable seats with a height adjustable driver’s seat, AM/FM/CD audio system with USB and AUX input, Bluetooth capability, steering wheel controls, power windows, power and heated mirrors, power door locks with keyless entry, air conditioning, cruise control and a 5-speed manual transmission. Safety equipment is impressive and include dual front airbags, side airbags, side curtain airbags, 16 inch wheels, traction control, vehicle stability control and anti-lock brakes (ABS). We have fully inspected and serviced this car and stand behind it with factory warranty coverage good through October of 2019 or 100,000 kilometres. This is a Toyota Certified Used Vehicle. A check of the CarProof Vehicle History report shows that this vehicle has an impressive accident-free and claims-free history. Odometer reading: 33,500 kilometres. Priced at $15,800 with financing available at 1.9%. This is a new 2017 Toyota Prius available at Squamish Toyota. This is the recently redesigned 2017 Toyota Prius. This one is finished in Blizzard Pearl White with a black interior and it is impressive from every angle. It is substantially improved from the previous generation Prius and is right at home on a winding road. The new seats are superb, among the best ever fitted to a Toyota automobile. Of course the Prius is legendary for fuel efficiency and this new generation is both quicker and more efficient. This one is rated at 4.4/4.6 L/100 city/highway which is 64/61 mpg. New for 2017 are heated seats made standard in all models. Also added is the Toyota Safety Sense System standard on all models. The Safety Sense System includes a pre-collision system with pedestrian detection, lane departure alert with steering assist, dynamic radar cruise control and automatic high beams. This Prius can be leased for $338 per month ($378.51 with taxes included) with ZERO down. This is a 60 month lease at 2.99% with an option to purchase at lease end for $12075.80. Supremely comfortable driver’s seat with height adjustment and terrific support.